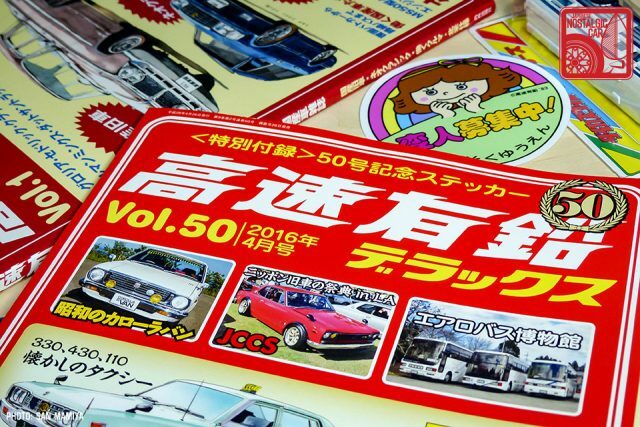 Japan’s Kousoku Yuen magazine recently celebrated their 50th volume. 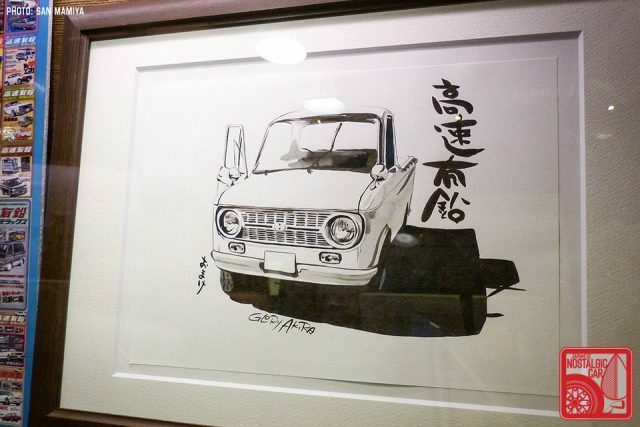 Written for fans of all the lesser loved, non-Skyline, non-2000GT specimens of the Japanese automotive kingdom, it is perhaps the most otaku title of the JDM magazine world. To mark this momentous occasion, as well as 10 years in publication, we interviewed Kousoku Yuen‘s intrepid editor-in-chief, Satoshi Furuuchi, a guy who can tell you from memory almost any obscure detail about any Japanese car ever made. JNC: What’s the theme of Kousoku Yuen? SF: We are an otaku car magazine. We feature Japanese cars that you can’t read about in other magazines. For example, USDM, neo-classic and working vehicles. 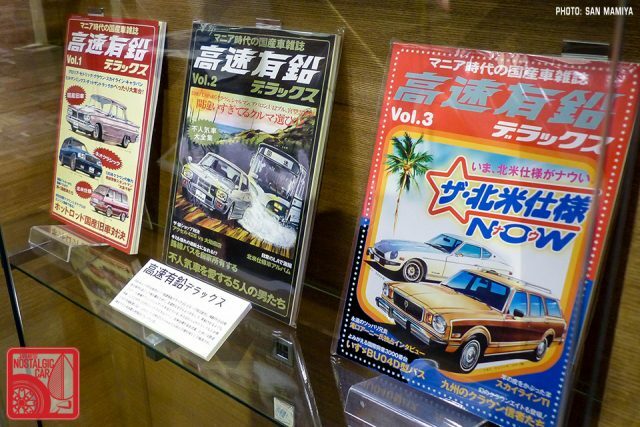 Readers often say Kousoku Yuen is a magazine for maniacs, but we feature ordinary cars. For example, 10 years ago most car enthusiasts here though an X80 Cressida was just ponkotsu, which is Japanese for an almost-junk used car. But for us, the same Cressida was a desirable car for precisely the reason that it is unloved in the mainstream. Today, the X80 has become very popular in Japan, but we already featured it about eight years ago. JNC: Why do you prefer cars like the Mark II or Cedric, and not the hakosuka GT-R or Fairlady Z? SF: We don’t hate them. We love them. We sometimes feature them. But, we can read articles about the hakosuka GT-R and Fairlady Z in many other kyuusha magazines magazines in Japan. JNC: How did you become a car enthusiast? SF: When I was a a kid, my father would carry me on his back when I was crying. 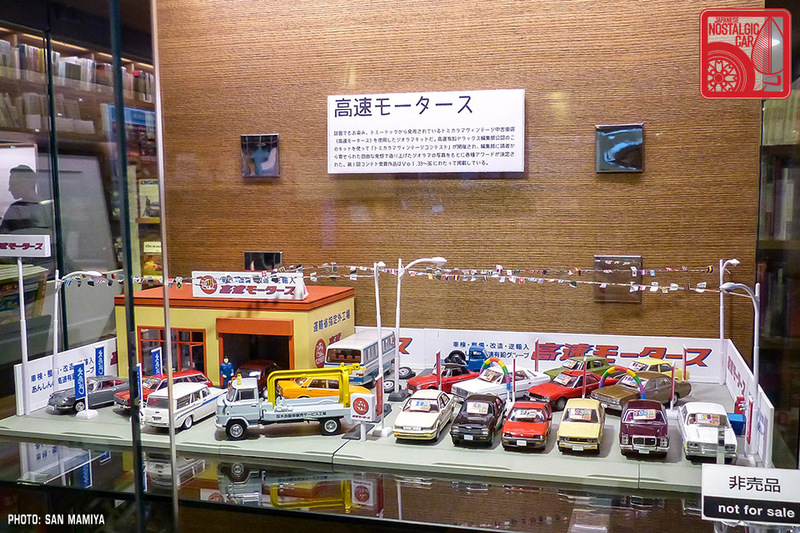 I would stop once I had a Tomica catalog in my hands. I studied old ones all the time. I felt a sweet sorrow when I saw the old, discontinued cars. However, I also love new cars. I got my first sales brochure at age nine. I wanted to buy an S110 Crown and a 430 Cedric or Gloria. My dream came true after 15 years. I was able to get my dream car for only $300 per car. No one loved them at the time. JNC: What are your favorite Japanese cars? SF: My favorite is the MS53 Toyota Crown Custom. It’s coolest car in the world to me. I also love the NHW11 (1997-2003) Toyota Prius. I don’t like its design, but I love the mechanism and the driving pleasure I get from it. 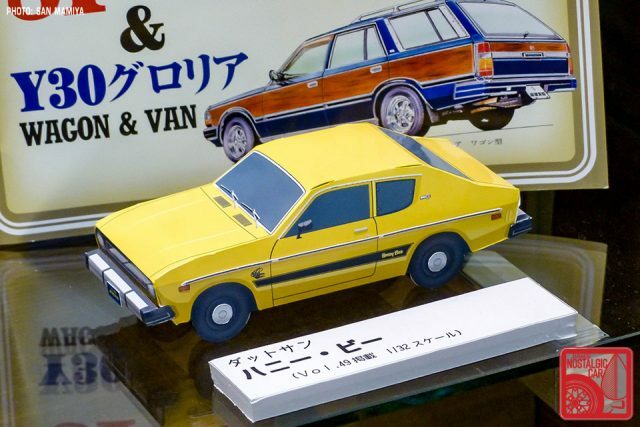 JNC: What was the first Japanese car you owned? SF: A 1983 MS117V Toyota Crown Van. My first car was a 1964 VW Bug. I loved VW Bugs and S110-series Crowns when I was child. [Furuuchi-san is also the editor-in-chief of Street VWs magazine.] But, I lost this bug in a big accident. Today I own a USDM MX36 Cressida Wagon that I bought in the US and brought back to Japan [complete with faux wood paneling, cover car for Volume 03]. JNC: Do you have a favorite car story? SF: At age eleven, I came across a RS41 Toyopet Crown and asked the owner, “If some day you no longer drive this car, can I have it?” He contacted me 20 years later and handed me the keys. The engine was gone, though, so I put an SR20 in it. JNC: What’s your favorite tuning style? SF: I love all-original cars, but very fast. I love sleepers. JNC: Do you have any last words for Japanese car fans in the US? SF: I am happy to see Japanese car fans in America saving old J-tin. JNC: Where can Americans buy Kousoku Yuen? SF: Please ask Mooneyes USA. I want JNC to make an English edition! JNC: So do we! Thank you very much for your time, Furuuchi-san. San Mamiya is a Japanese automotive illustrator and photographer. You can see and buy his work here. tagged: cedric, cressida, crown, gloria, kousoku yuen, mark II, NeoClassic Magazine, nissan, toyota. Thank you for putting a slighty photoshopped version of my 1967 RL411 Datsun SSS on the cover of your Volume 24, December 2011 issue! I look forward to an more accesicible version of your publication. my Mitsua store is undergloing a realignment of their sub leases and has no longer an outlet for your magazine! [Nor the super JDM car models I might add]. Satoshi, you where right about the X80 series. They are getting rare here as well. (In Canada). Great article guys. Please release an English version, Mooneyes!! They wouldn’t have to print it, they could just make it available online; either free or with a small subscription fee. This guy seems to know what’s up. I wish the magazine industry in North America were such that a similar magazine could survive here, dedicated to quirkier/overlooked cars as well as vintage commuters and 4x4s without much race pedigree. To this day I wonder why back in the days of the EMAP/Petersen merger they didn’t launch a US version of “Practical Classics”. What scale are those cars in the diorama? My biggest honor was being on the cover and having an article in Vol 36. They are beyond knowledgeable and very passionate about the obscure and really anything old school. The hand drawn artwork of my car is one of my most prized gifts to this day! Cool magazine. Another vote for an English edition!